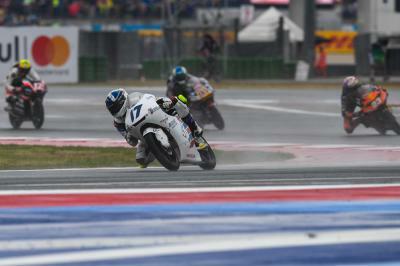 With the track damp for the start of action, the Moto3™ field began their Gran Premio Tribul Mastercard di San Marino e della Riviera di Rimini on wet tyres – with times then tumbling at the end of the session as the slicks came out. 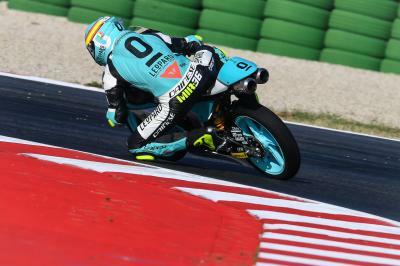 Aron Canet (Estrella Galicia 0,0) came out on top, ahead of home hero Romano Fenati (Marinelli Rivacold Snipers) and Championship leader Joan Mir (Leopard Racing). 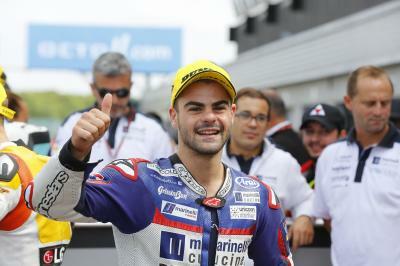 Some chose to sit it out until then, including some high profile names such as John McPhee (British Talent Team), who headed out late. 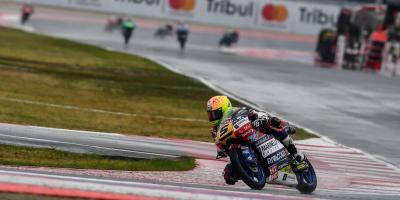 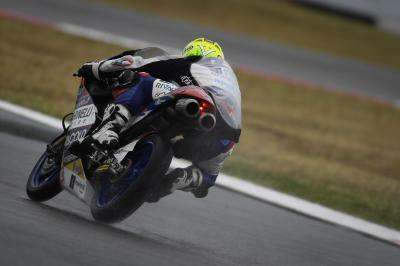 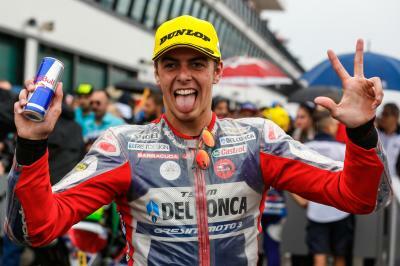 One crasher was Enea Bastianini (Estrella Galicia 0,0) – a former winner at Misano World Circuit Marco Simoncelli – who took a low drama tumble at Turn 8. 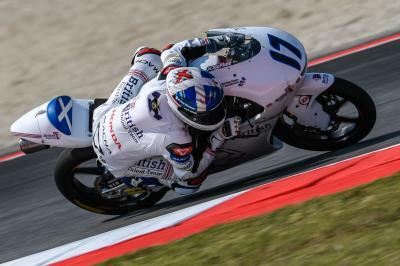 Jorge Martin (Del Conca Gresini Moto3) sat the session out as he continues to recover from a broken leg – playing it as safe as possible until race day.